Pursuant to the agreement, Victory Square Technologies will acquire 100 percent of the interests of Limitless Blockchain Technology for C$5 million. Victory Square Technologies (CSE:VST) is further expanding its interests in the blockchain industry. On Tuesday (April 10), the blockchain-focused venture builder company announced its intentions to acquire 100 percent of the interests of privately held Limitless Blockchain Technology, a blockchain solutions provider, in a deal totaling C$5 million. Following the completion of the deal and subject to all regulatory approvals, Victory Square will have invested in nine companies in total. Victory Square’s portfolio also includes companies in industries such as virtual reality, artificial intelligence, personalized health, gaming and film. Limitless Audio, which is an audio-streaming application currently in the late stages of development. Limitless Audio takes a decentralized approach and provides artists with cryptocurrency-mining capabilities in exchange for streaming services. 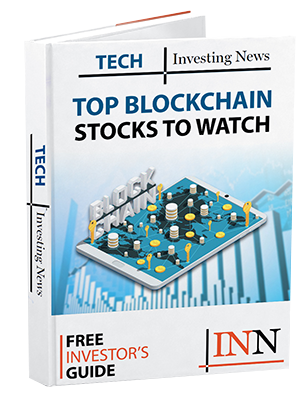 “Limitless Blockchain represents another dynamic addition to our growing portfolio of emerging technology companies,” Victory Square CEO Shafin Diamond Tejani said in the release. The release also states that Limitless Blockchain CEO Michael Shader will continue to run the company as a division of Victory Square. Pursuant to the terms of the agreement, the C$5-million deal will be paid by Victory Square by issuing 4.7 million common shares of the company at C$1.35 per share, representing its share price on the Canadian Securities Exchange as of April 9, 2018. Tuesday’s press release does not indicate when the deal will be completed. Following the announcement, shares of Victory Square spiked to as high as C$1.58 in early trading on Tuesday morning and fluctuated throughout most of the day. At market close on Tuesday, shares of the company were at $1.50. Year-to-date, Victory Square’s share price has dipped from $3.31 January 2, representing a 54.7-percent loss.